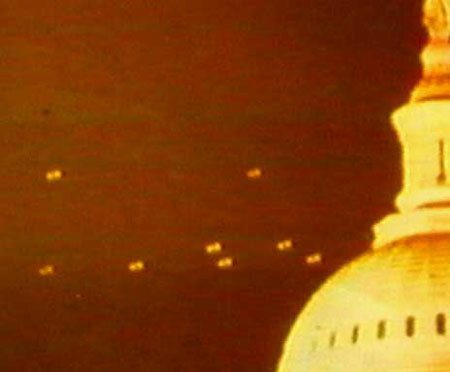 A few minutes before midnight on Saturday, July 19, 1952, an air traffic controller at National Airport in Washington, D.C., noticed some odd blips on his radar screen. Knowing that no aircraft were flying in that area --15 miles to the southwest of the capital - he rushed to inform his boss, Harry G. Barnes. Barnes recalled a few days later, "We knew immediately that a very strange situation existed... Their movements were completely radical compared to those of ordinary aircraft." 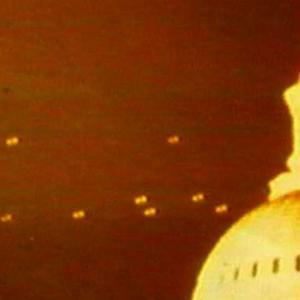 They moved with such sudden bursts of intense speed that radar could not track them continuously. Soon, National Airport´s other radar, Tower Central (set on short-range detection, unlike Barnes´ Airway Traffic Control Central [ARTC]), was tracking unknowns. At Andrews AFB, ten miles to the east, Air Force personnel gaped incredulously as bright orange objects in the southern sky circled, stopped abruptly, and then streaked off at blinding speeds. Radar at Andrews AFB also picked up the strange phenomena. Exciting and scary as all this had been, it was just the beginning of an incredible episode. The next evening radar tracked UFOs as they performed extraordinary "gyrations and reversals," in the words of one Air Force weather observer. Moving at more than 900 miles per hour, the objects gave off radar echoes exactly like those of aircraft or other solid targets. Sightings and trackings occurred intermittently during the week and then erupted into a frenzy over the following weekend. At one point, as an F-94 moved on targets ten miles away, the UFOs turned the tables and darted en masse toward the interceptor, surrounding it in seconds. The badly shaken pilot, Lt. William Patterson, radioed Andrews AFB to ask if he should open fire. 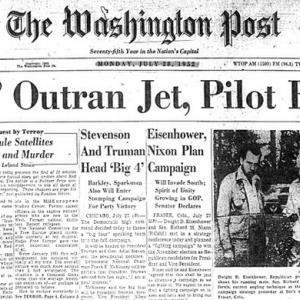 The answer, according to Albert M. Chop, a civilian working as a press spokesperson for the Air Force who was present, was "stunned silence... After a tense moment, the UFOs pulled away and left the scene." As papers, politicians, and public clamored for answers, the Air Force hosted the biggest press conference in history. A transcript shows that the spokesperson engaged in what amounted to double-talk, but the reporters, desperate for something to show their editors, picked up on Capt. Roy James´ off-the-cuff suggestion that temperature inversions had caused the radar blips. 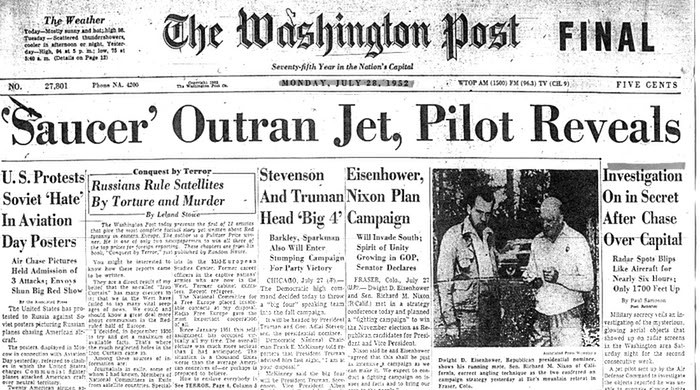 James, a UFO skeptic, had arrived in Washington only that morning and had not participated in the ongoing investigation.